Very pleased to welcome a new ride in the Jeep Waves family. We recently picked up a 2002 Jeep Grand Cherokee and we love it so far. It got us thinking as we drove around waving at other jeeps that it’s important to keep your eyes peeled for non-wrangler, non-lifted Jeeps that have passionate Jeepers behind the wheel. Just because it doesn’t look like it’s ready to go rock crawling doesn’t mean it doesn’t deserve a wave. Happy Jeepin! We recently met up with our friends at the South Park 4×4 Club and had a great meeting with some fellow Jeep fans. It got us thinking about the importance of knowing other local drivers and getting out on the trails to enjoy our Jeeps. 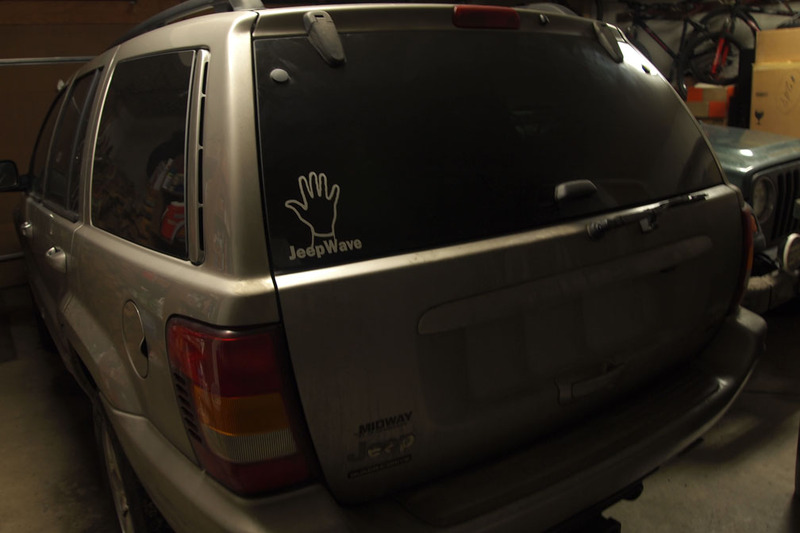 If any local Jeep clubs would like some Jeep Wave gear, feel free to shoot us an email for some group discounts on shirts and stickers. Wave on!